Sending your art unsolicited to a professional cartoonist for a critique is usually a bad idea. It’s like wanting your car fixed, and instead of making an appointment at a repair shop and getting an estimate, just driving it into an auto repair shop (sans appointment) – parking your car on a mechanic’s lift – then expecting them to get to work. Posting it online on social media can be hit or miss depending on the experience and professionalism of those giving the critiques. From personal experience I find Artists Alleys at comic cons to be a good bet. The reason being that you are not infringing on the artist’s work schedule – they are specifically there taking the time to touch base with readers and fans. This one-on-one from an artist you respect can be invaluable. Research who’s on site before the con. Then when approaching an artist be sure to ask if they’re open to, or have time for, doing a portfolio review (they may not depending on time constraints). Also a heads up that the critique you get can be instructive and/or eviscerating depending on the artist’s demeanor. Be prepared for either. A surefire way to get a critique is to take a class or correspondence course in cartooning. Heads up that the Minneapolis College of Art and Design has an online portfolio review for potential students. I would also recommend the Joe Kubert School Correspondence Course (and no, I don’t get paid for this endorsement). In this case it’s a matter of getting what you pay for. 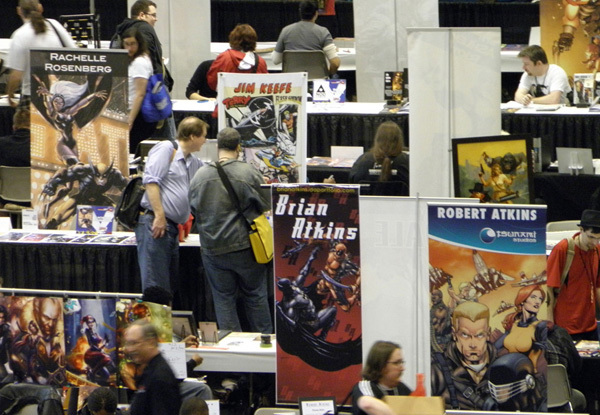 You can check out the Kubert School at Comic Cons they’re scheduled to appear at as well. 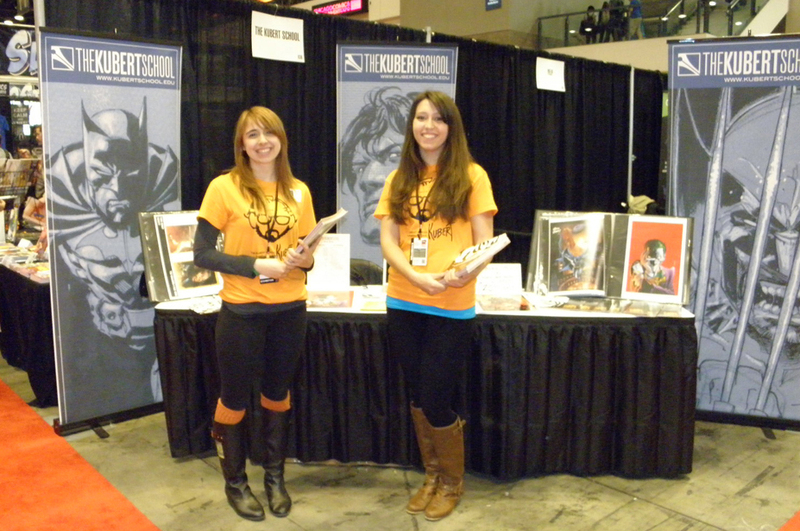 Here’s Kubert School Alum Brigid Allanson and Angie Fernot at C2E2. Any other suggestions? Write them in the comments section as I’d love to hear them! And wishing you all the best in your artistic ventures! This entry was posted in Business of Cartooning and tagged portfolio. Bookmark the permalink.